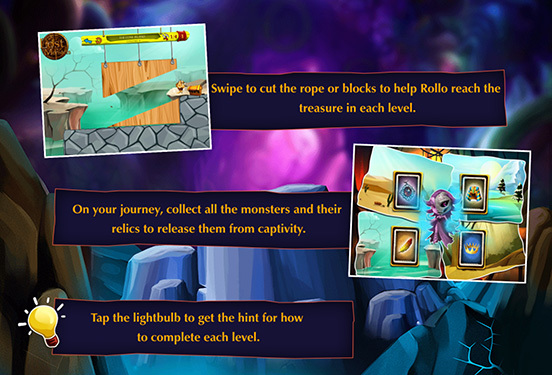 Have you downloaded the Rollo and the Lost Monsters app yet? We're officially addicted and we’ve been putting in some serious puzzle time. 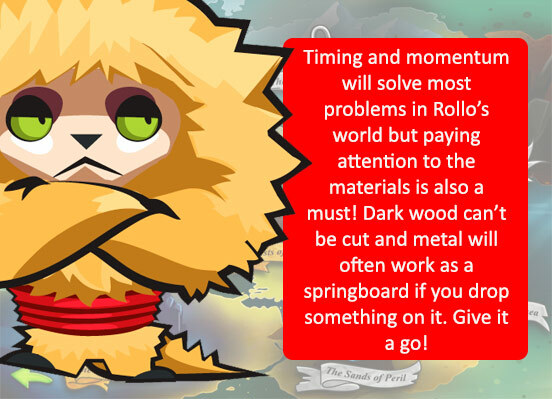 So here's the low-down: you’ve gotta help hero Rollo reach a treasure chest in each level. 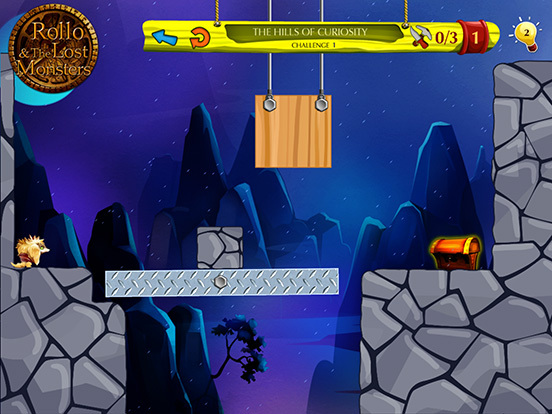 In his way are a series of brain-busting puzzles you’ll need to solve (and cut) carefully! 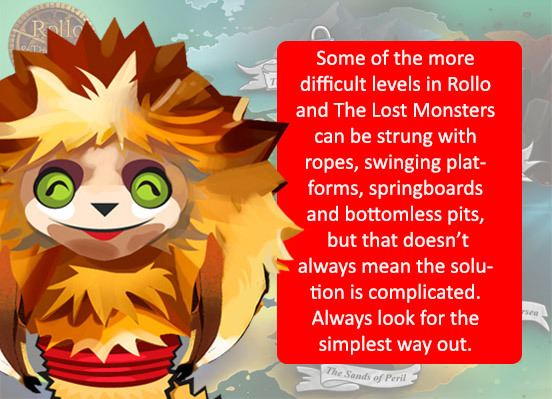 There are stacks of levels and worlds to unlock and they get steadily more challenging as you go, introducing new materials to cut, moving platforms, springboards and more. 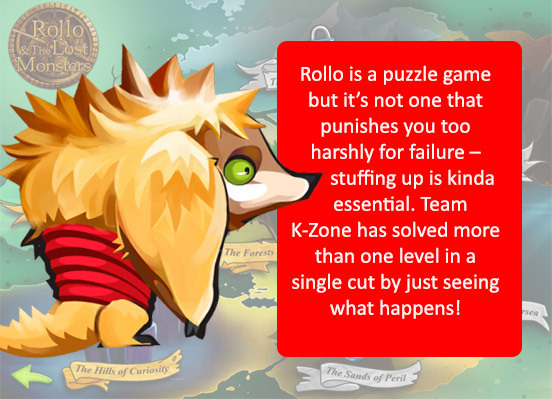 The rewards for getting Rollo to the goal are sweet too – not only do you open up the next level, there are also a stack of Lost Monster collectable cards to unlock. 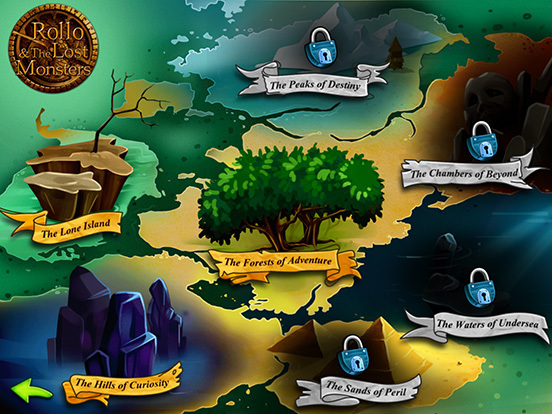 Finding them all will keep you busy for ages! That's right dudes...Rollo's a clever dude. So take a risk every once in a while and it'll pay off just by learning what you can and can't do. Aim high gamers! The game will reward you for collecting those stars! Different materials react in different ways. Test 'em out! Last one guys...like all fast creatures on this planet, Rollo takes a little time to reach full speed. Take this into account and you'll be rollin' in no time! 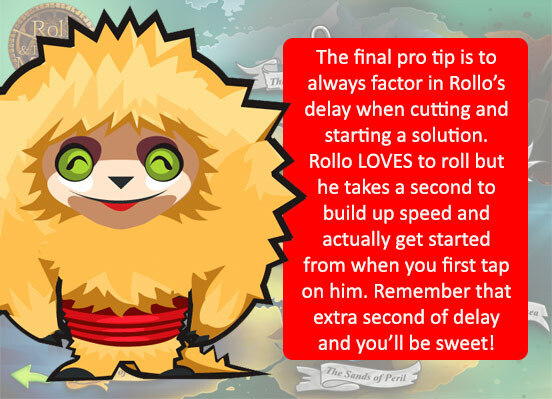 Rollo Cheats and Pro Tips!